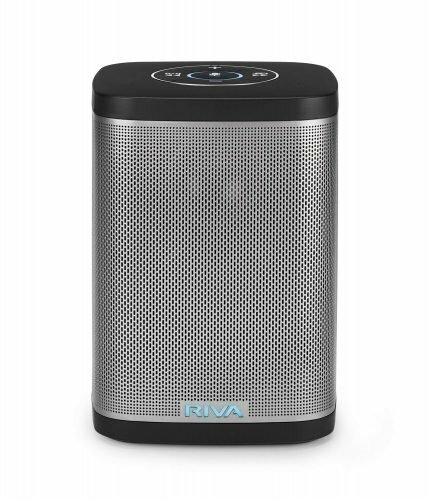 Since its launch in 2018, the RIVA Concert Compact and Portable Smart Speaker has caused quite a bit of excitement among portable speaker enthusiasts. 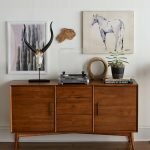 Finally, a wireless speaker with both WiFi and Bluetooth connectivity has arrived! There are similar speakers on the market but none have quite been able to achieve what the RIVA Concert has to offer. 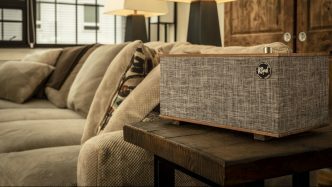 Many compare the RIVA Concert to the Sonos Play:1, which aesthetically is true. However, under the hood, the RIVA Concert is far more superior. 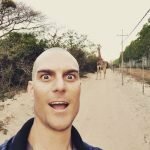 Let’s take a deeper look at the RIVA Concert and why this speaker is so unique in what appears to be the saturated market of wireless speakers. Unlike most compact speakers, the RIVA Concert features a total of three speaker drivers to deliver room-filling audio. 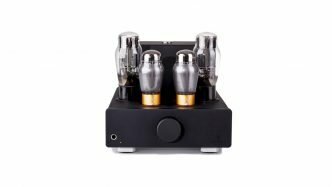 RIVA claims this is stereo surround sound, however, it’s better described as a virtual stereo effect opposed to a true stereo speaker. Still, this is far better than you get from most compact wireless speakers on the market. The speakers are mounted left, right and center effectively giving you near 360° room-filling audio. Although compact, the Concert produces an impressive 50W of sound which is the equivalent of most soundbars these days. The sound produced by the RIVA Concert is impressive for a speaker of this size. The bass response is tight and punchy giving the speaker a nice warm sound. Better than most compact speakers on the market. The mid-range is surprisingly clear and accurate. Usually, speakers this size are slightly muddy in the mid-range but the RIVA Concert is clean. The highs are also clean and crisp offering excellent intelligibility to the sound profile of the speaker. For both music and spoken voice quality, the RIVA Concert outperforms much of the competition. When it comes to audio inputs, you’re spoiled for choice with the Concert. Inputs include ⅛-inch AUX, USB, Bluetooth, WiFi, and Apple Airplay. The speaker is also compatible with DLNA and Spotify Connect. In addition, the RIVA Concert comes with Amazon Alexa built in, eliminating the need for an external Echo device to access the voice commands. 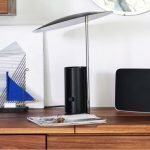 The RIVA Concert is also compatible with the Alexa app making it easy to manage as one of your Amazon Alexa devices. 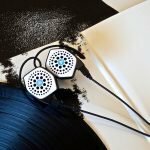 The speaker incorporates a total of 3 built-in microphones so your voice can be heard no matter where you are in relation to the speaker. These microphones can also be muted should you wish to have complete privacy. You can make calls and dictate text messages with the same ease and accuracy as any Amazon device. One bone of contention among wireless speaker users is that most wireless speakers offer either Bluetooth or WiFi, so it’s nice to see the Concert provides both options. On top of the speaker is a neat button panel allowing you to control certain aspects of any paired device. Buttons include volume up, volume down, previous track/pairing mode, next track/input selection, and privacy mode (mutes all microphones). All buttons feature braille raised dots for eyesight impaired individuals. The privacy mode button located in the center of the control panel is surrounded by a multi-colored LED which indicates the function or mode the speaker is currently in. 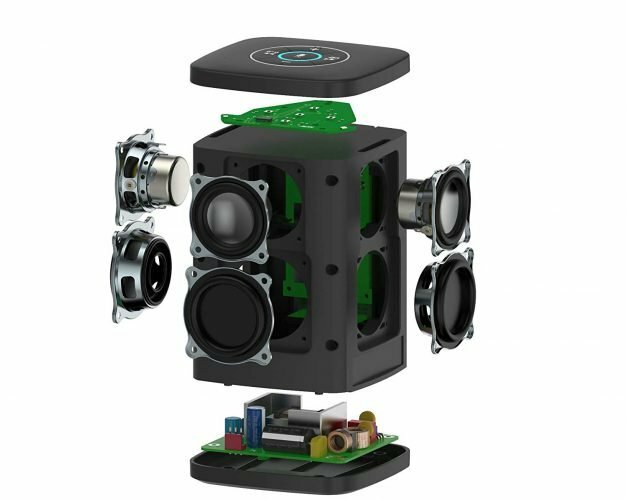 This is useful to get a snapshot of what’s going on inside your speaker. 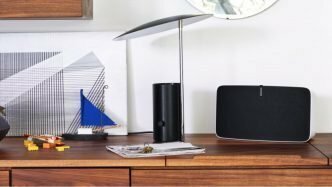 The biggest difference between the RIVA Concert and the Sonos Play:1, and any other WiFi smart speaker for that matter, is that it’s portable. The RIVA Concert doesn’t come with a battery pack as standard, however, you can purchase this for $59 as an optional extra. The compact battery pack fits neatly into the bottom of the speaker which doesn’t take away from the speakers compact aesthetic. 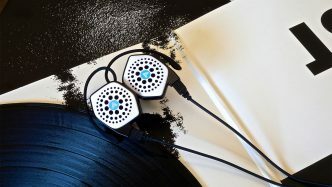 The battery lasts up to 15 hours of playing time depending on the listening volume and features in use. The great thing about having a detachable battery is you can purchase as many as you like to keep your speaker playing music for as long as you have charged battery packs. Both the RIVA Concert and the battery pack is splashproof. Another feature you won’t find in most WiFi speakers currently on the market. The RIVA Concert is also compatible with the RIVA Voice App available for Apple and Android devices. Using the app, you can switch between listening modes, adjustment treble, and bass as well as control playback from local content, media servers, USB and AUX inputs. 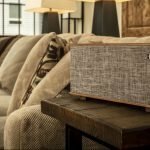 If you’re looking for the best WiFi speaker, the RIVA Concert is certainly a big contender. 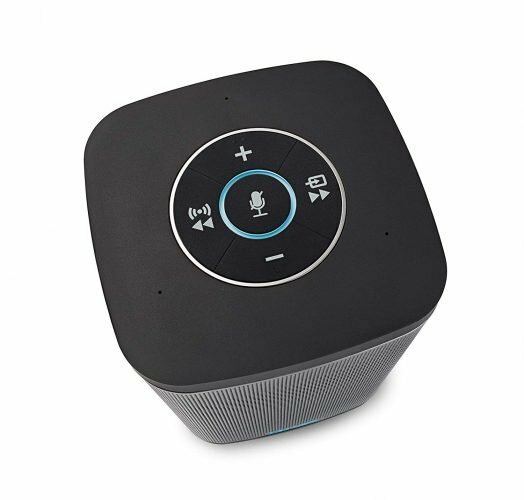 The Concert has more input options than most WiFi speakers on the market and offers both WiFi and Bluetooth connectivity which many wireless speakers do not. As you would expect from a premium WiFi speaker, the Concert offers built-in Alexa eliminating the need for external Amazon Alexa devices. A small but significant convenience. 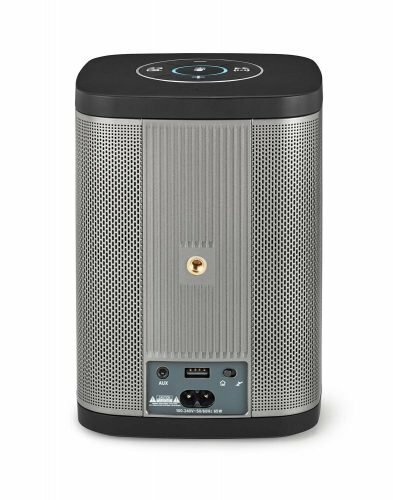 While it’s awesome that there is finally a decent portable WiFi smart speaker on the market, it’s slightly disappointing that RIVA didn’t include the detachable battery pack as a standard feature. Still, the fact that you can purchase multiple battery packs is something that many brands don’t allow for. 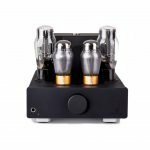 At just under $200, the RIVA Concert is extremely well priced for the value you receive. It is slightly more expensive than the Sonos Play:1 but with the extra features the RIVA Concert offers such as it’s portable, splashproof with both Bluetooth and WiFi connectivity, makes it worth the extra $50.